Born at Detroit, Michigan, April 26, 1823. 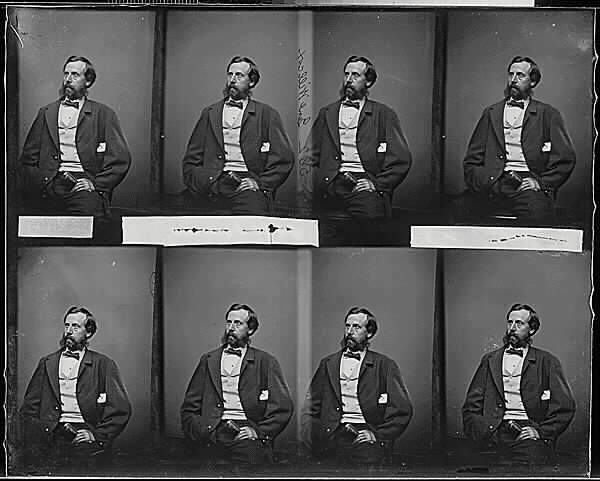 He was destined for a career in the army, and graduated from West Point in 1847. He was briefly detailed to garrison duty in Mexico City and Cuernavaca at the close of Mexican War and then was on duty at various points including stations at New Mexico, Massachusetts, and Florida. 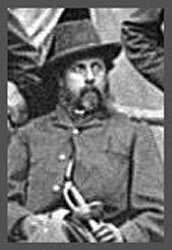 He resigned his commission in 1857 in order to practice law but returned to the army in 1861 as Colonel of the 1st Michigan Infantry. At the battle of 1st Manassas he wounded and captured while in command of a brigade of Heintzelman's Division; he remained a prisoner for more than a year, part of the time as a hostage of Rebel privateersmen whom the Federal authorities had threatened to hang as pirates. On the day of his release, August 19, 1862, he was commissioned a Brigadier General of Volunteers to rank from the date of the battle in which he had been captured the previous year and was given command of the 1st Division of Ambrose Burnside's IX Corps. 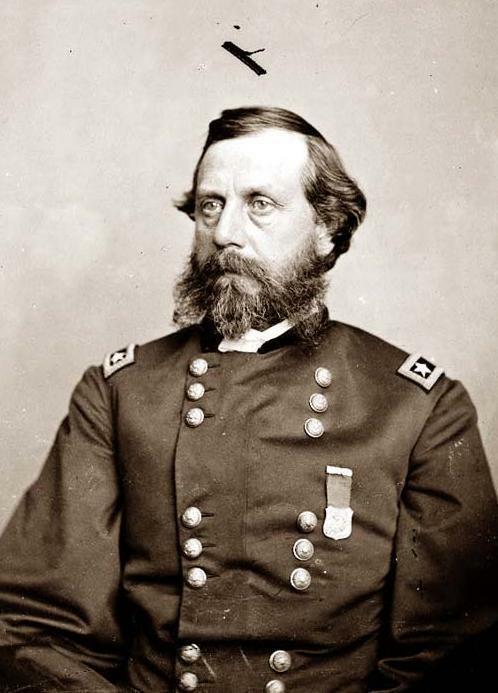 He led the Division, and sometimes the Corps itself, at Sharpsburg, Fredericksburg, Knoxsville, and during Grant's Overland Campaign against Richmond in the summer of 1864. When Burnside left Army of the Potomac after the debacle at The Crater in August, Willcox might presumably have been his logical successor in command of the corps, but John G. Parke, who was Chief of Staff of the corps and a Major General, received the post, and Willcox continued to command his Division until close of the war. 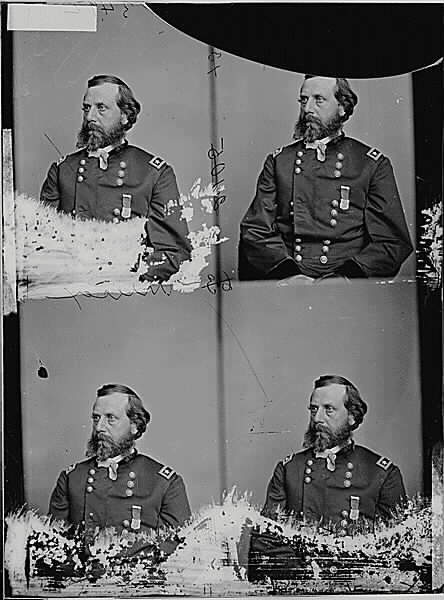 He was one of the senior brigadiers in the service by date of commission, ranking John G. Parke by some 4 months. 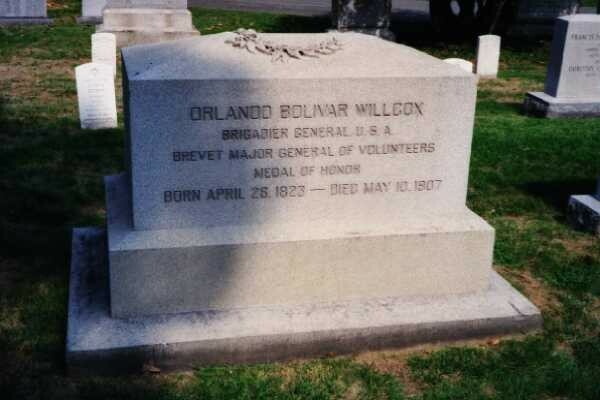 However, never advanced beyond that grade except by brevet at end of the war, despite his long record in Division and temporary Corps command, dating back to August 1862. 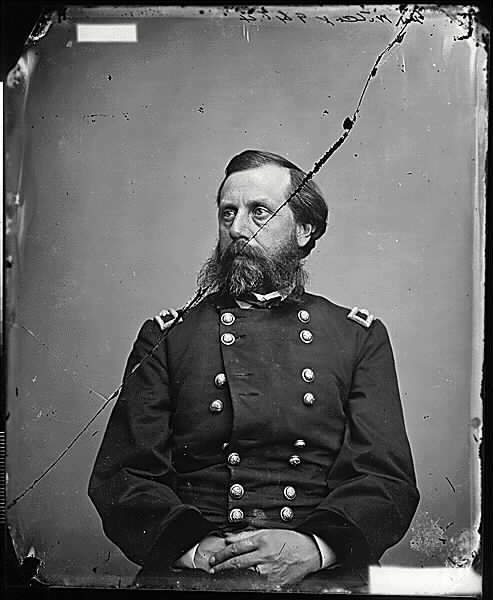 Parke, on the other hand, was commissioned a Major General on August 20, 1862, to rank from July 18, although much of his service in the war was as a staff officer. 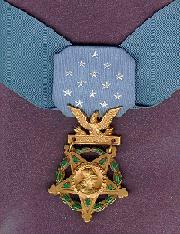 He was breveted Major General in both the Regulars and the Volunteers and in 1895 awarded the Medal of Honor for "most distinguished gallantry" at the battle of Manassas 34 years before. 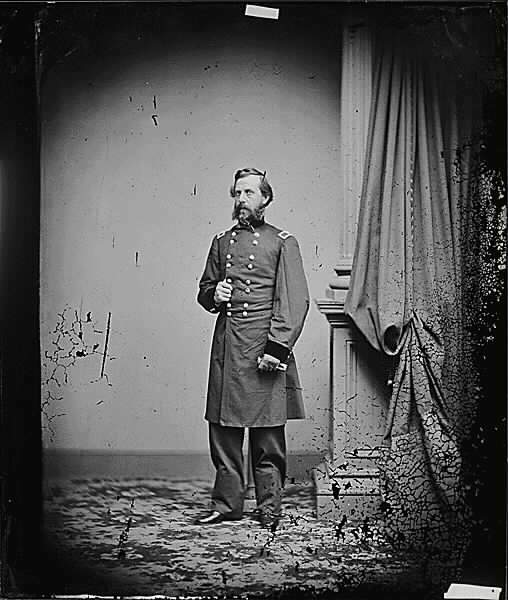 He was mustered out of service in January 1866, and returned to Detroit to resume his law practice, but upon enlargement of the Regular Army in July, he was reappointed as Colonel of the 29th US Infantry. He was transferred to the 12th US Infantry in 1869 and served at San Francisco almost continuously until 1878, when he assumed command of the Department of Arizona during a period when Apache warfare was at its height. Remained in this post until 1882 and as a consequence of his service here the town of Willcox, Arizona was named for him. When first Southern Pacific train reached Maley, Arizona, from the west in 1880, General Willcox, according to legend, was aboard and was received with acclamation. As a consequence town was renamed Wilcox (sic)! 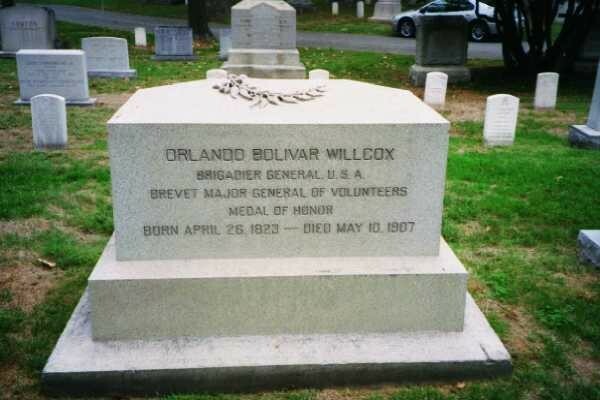 The error in spelling, suggestive of Major General Cadmus M. Wilcox of the Confederate States, who spelled his name with one "l," was not rectified until 1889, when "Wilcox" became "Willcox." The original name of the community stemmed from one Mahley, through whose ranch the survey was run. Accordingly, the misspelling honors were about even). 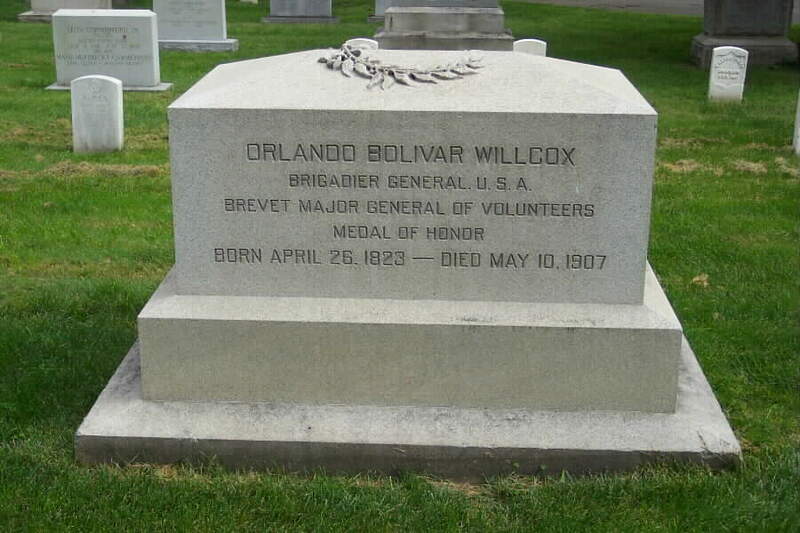 In 1886 he was promoted to Brigadier General, USA, and in 1887 he was retired. Two years later he did a tour of duty as governor of the Soldiers' Home at Washington, DC. He remained in Washington, DC for a time, but in 1905 moved to Coburg, Ontario, where he died, May 10, 1907, age 84. 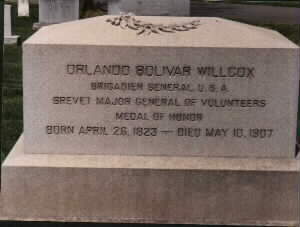 He was buried in Section 1, Grave 18, of Arlington National Cemetery. 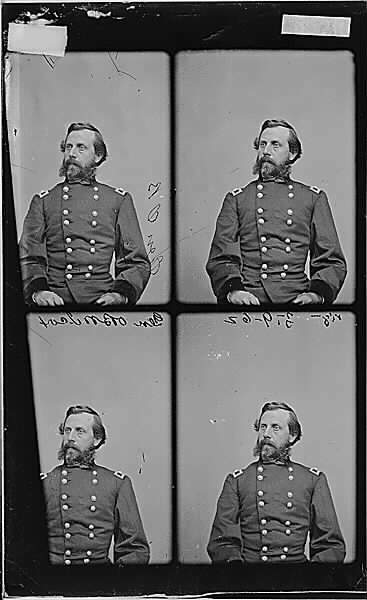 Rank and organization: Colonel, 1st Michigan Infantry. Place and date: At Bull Run, Virginia, 21 July 1861. Entered service at: Detroit, Michigan. Birth: Detroit, Michigan. Date of issue: 2 March 1895. Led repeated charges until wounded and taken prisoner.